IMPROVES TONE, RESPONSE, AND INTONATION OF WOODWIND INSTRUMENTS. The Original Dark Launched The Fine Line Of Rovner Ligatures In 1974, And Introduced An Innovative Approach To Ligature Design. It Is Especially Enjoyed By The Classical Player, And Despite Many Imitators, Continues To Be Our Best-seller. For Decades It Has Also Been The "Go-To" Ligature For Music Educators, Knowing They Can Recommend It With Complete Confidence. 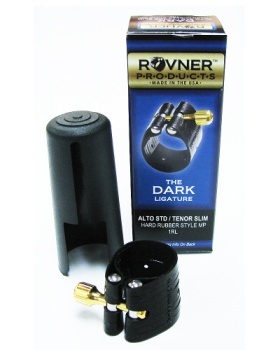 A Rovner Ligature Is Just The Thing To Help Developing Players Move To The Next Level Of Performance.